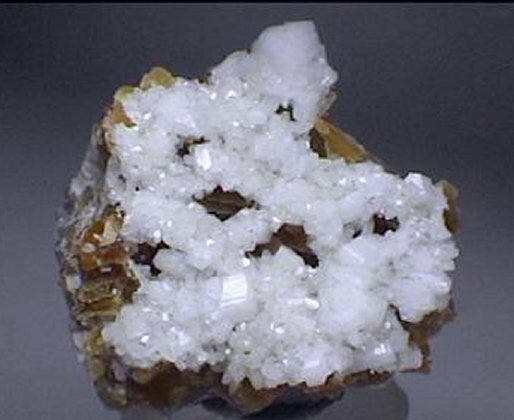 Comments: Root beer colored calcite covered with harmotome crystals from 1 mm to 1 cm. Location: Strontian Hills, Strontian, Argyll, Scotland. Scale: 5.5 x 4.5 cm.